I recently saw “Cry Freedom” the movie for recently and i think this time i understood it. This a great quote from Steve Biko. 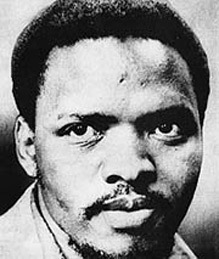 Stephen Biko (18 December 1946 – 12 September 1977) was an anti-apartheid activist in South Africa in the 1960s and 1970s. A student leader, he later founded the Black Consciousness Movement which would empower and mobilize much of the urban black population. Since his death in police custody, he has been called a martyr of the anti-apartheid movement. While living, his writings and activism attempted to empower black people, and he was famous for his slogan “black is beautiful”, which he described as meaning: “man, you are okay as you are, begin to look upon yourself as a human being”. Despite friction between the African National Congress and Biko throughout the 1970s the ANC has included Biko in the pantheon of struggle heroes, going as far as using his image for campaign posters in South Africa’s first non-racial elections in 1994.